Definitivamente tenía que hacer un post sobre esta chica. Rumi Neely es mi inspiración principal cuando de ropa se trata, tiene un estilo super relajado y sofisticado al mismo tiempo que me encanta. Su blog fashiontoast.com ganó este año el premio bloglovin a mejor blog de moda, y claro, esta chica tiene más de 500 usuarios viendo su blog al mismo tiempo todo el día, y como no si sus fotos a parte de mostrar lo último en tendencias están super bien tomadas y te van contando una historia complementando sus looks con otras fotos relacionadas a lo que lleva puesto. Marcas como RVCA y American Apparel le mandan constantemente ropa para que la exponga en su blog y la verdad que ella sabe como mostrarla de la mejor manera! I definitely had to make a post bout this girl. 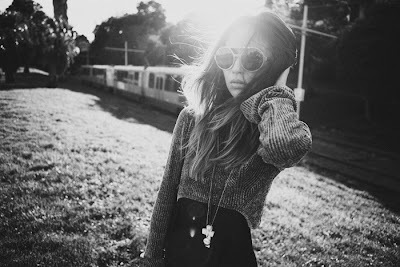 Rumi Neely is my principal inspiration talking about fashion, she has this relaxed but sofisticated style that i love a lot. Her blog fashiontoast.com won this year the Bloglovin award for the best fashion blog, and of course, this girl has more than 500 users reading her blog at the same time the whole day, and how this is not gonna be if her pictures besides of showing the last in trends are very well taken and they go telling you an story complementing her looks with other pics related to what she is wearing. Brands like RVCA and American Apparel send her constantly cloths to get expose in her blog and the truth is that she really knows how to show’em in the best way!